In Singapore it is now possible to hire trained live-in caregivers. This must be welcome news to families with elderly parents who are bedridden or who require 24/7 monitoring. This is a cost-saving alternative to nursing homes which are often a drain on families with limited financial resources. These caregivers are mostly from the Philippines. They hold a diploma or degree in nursing and are trained before coming over. They are paid higher salaries than maids depending on their skills and experience. While maids get around S$500 a month, these care-givers can draw between S$600 to S$1000 a month. Looking for a good nursing home can be a very frustrating experience here in Malaysia. With hundreds spread out in the Klang Valley, it can be time-consuming and energy-sapping to check out even a handful of them. Wouldn't it be great to have a tool similar to the one on the US government's medicare website? This tool works much the same as Tripadvisor where you can compare hotels and rates, and book your accommodation based on reviews from hotel guests. If we had a similar online tool for comparing nursing homes here, it would definitely remove the physical hassle of visiting each of these facilities to check them out. You can also compare doctors and how much they charge. It gives you the option of choosing a doctor or a hospital that you can afford. 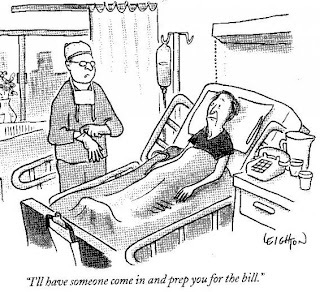 Right now patients have no idea how much they have to pay for a simple consultation or a medical procedure till they receive the bill. By then it's too late for any price negotiations. Perhaps all is not lost yet. When PR is in power, you can try to get them to do what Singapore is doing now for its seniors. there to see what can be implemented here.